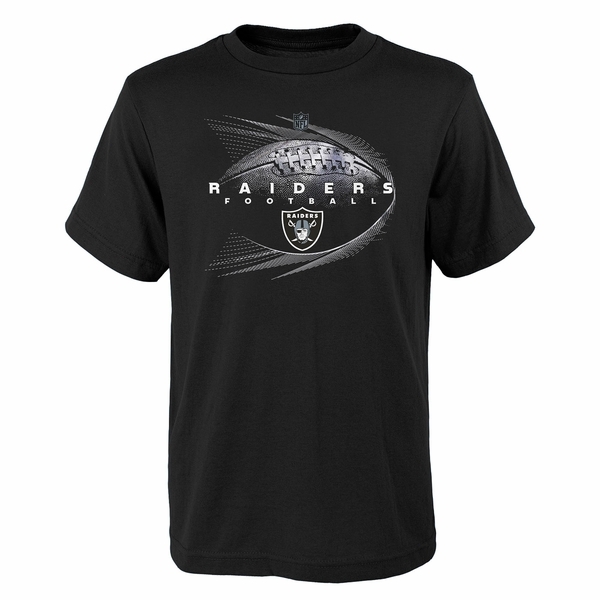 The Raiders Juvenile Jet Stream Tee by Outerstuff will prove that your little one is ready for game day! This tee features an athletic, screen printed graphic on the chest with a Raiders� shield logo. 100% cotton.